Baby Boomers are the wealthiest generation we have seen in history. They are now ageing and preparing to pass down a record breaking amount of assets to their children. Or are they? SYDNEY - Feb. 12, 2019 - PRLog -- The wealthiest generation we have seen in history are the Baby Boomers (1946-1964) – approximately 25% of Australians. They are now ageing and preparing to pass down a record-breaking amount of assets to their children. Todays Boomers are currently living in a "You Only Live Once" mindset, driven to try new experiences and stay active in their golden years. Not only are they pursuing expensive retirement activities, and spending more on consumer goods than today's younger generations, but they are also taking risks with investments. Their years of children's school fees, down payments on homes and cars, caring for grandchildren financially and so on, are taking a back pocket to their own future enjoying their money while they still can. Boomers are still spending, taking care of themselves for a change, and not ready to hand over their hard earned and accumulated wealth. To compound this dwindling wealth transfer, our Boomers just aren't even thinking about how to deal with their money when they're gone. And if they have had that back-of-the-mind thought, they're certainly not talking about it. The discussion between parents and their children about wealth transfer is still a taboo subject. Why could that be? Many parents are hesitant to have that conversation in fear of realising their mortality, but also in fear of raising their children's financial expectations. Parents also tend not to discuss their wealth transference ahead of time because they don't want to deal with the ramifications of a child that feels hard done by. They may not have to deal with it when they're gone, but someone does, and it can break future generations apart. So best to deal with it now. "Money is the root of all evil", a biblical passage based on a letter from Apostle Paul, was never truer when it comes to inheritance. Some stories you hear of family fights over "unfair" distribution of inheritances would make their parents turn in their grave. Of course, they would never think that their children would fight over money. But it does create family problems. Often. Planning what happens to this wealth transfer is a very important subject that does need addressing, whether it is initiated by the parent, or by the child. There is only one way to plan this Estate Planning, and that is to establish a plan. This Boomer inter-generational wealth transfer is fast-approaching, and the discussion needs to be initiated now. This discussion also needs to include every concerned party – those that are doing the leaving, and those that are doing the receiving. Every concerned party needs to understand the process and how it may affect them, and the positive impact it will have. The best place to start, is to form a relationship with a financial adviser. They are dealing with Estate Planning most days of the year. 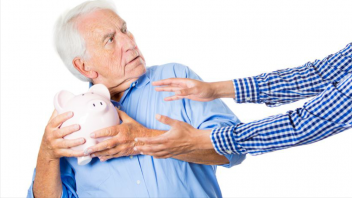 Our Boomers, and their children, need to understand how financial advice can help avoid tax burdens, manage existing investments, develop retirement plans, and avoid family infighting down the track. Did Your Last Pay-Cheque Come With Instructions?